Client Profile: A high profile drilling contractor servicing the mining industry of Western Australia. The Problem: Client was having difficulty sourcing a supplier with access to the appropriate materials and equipment to carry out a repair on an 18 metre hydraulic cylinder. 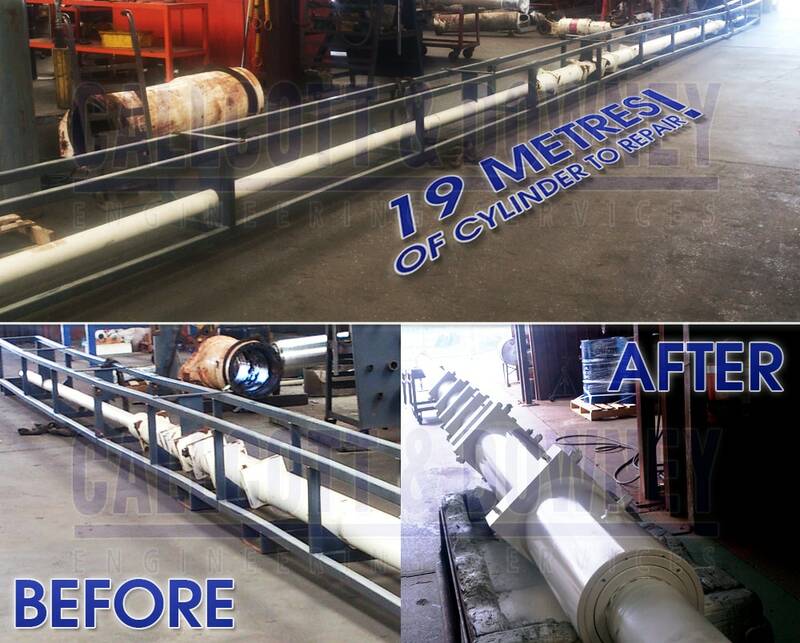 The Goal: To repair the 19 metre hydraulic cylinder as quickly and effectively as possible. The Solution: Callcott and Downey were contacted as they are known problem solvers within the hydraulic community. They were able to source material in single lengths of 15 metres, usually unavailable within Australia, for both the Barrel and Rod. The Result: The hydraulic cylinder was fully rebuilt to OEM specification and provided promptly to the client, who confirmed that it’s operating like a component that’s fresh off the shelf, but at a highly competitive cost.